Welcome to Ile aux Cocos! Located at 4 km to the west of Rodrigues, emerging from the lagoon, this strip of sand is a nature reserve where thousands of sea birds have sought shelter. 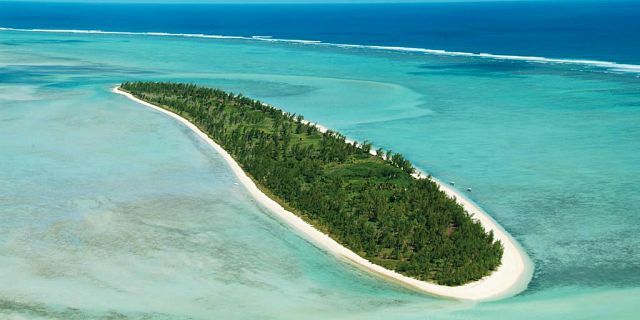 - Ile aux Cocos is undergoing a growing craze. It has become the main tourist attraction of Rodrigues. To reach the island, it is necessary to sail the 4 km that separate it from the main island in a pirogue. The voyage sometimes turns into an adventure when the tide is low. At certain places, corals and rocks are just above the surface of the water, while at others, you need to steer clear of a sandbank to avoid being stranded. The lagoon is so shallow that the last kilometer will be covered on foot, in a few centimeters of water. This leaves ample time to the visitor to admire the island in its integrality.